Halloween is my favorite Holiday. 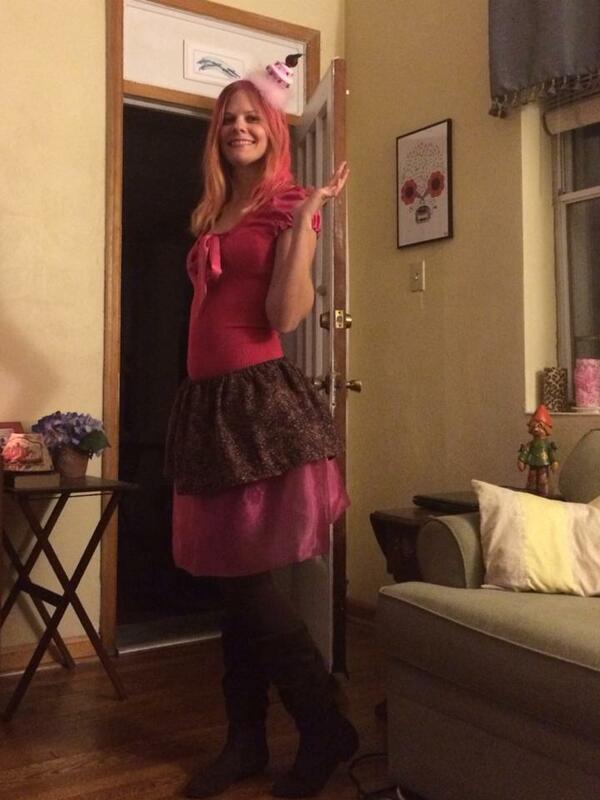 This year I decided to be a cupcake, so I took some Pink Tulle fabric and made a Tutu, and then I layered with a chocolate sprinkled pattern cotton fabric. I included a cute little cherry cupcake head piece! Call me the Cherry Chocolate Sweetheart Cupcake! I am also sharing a pic. 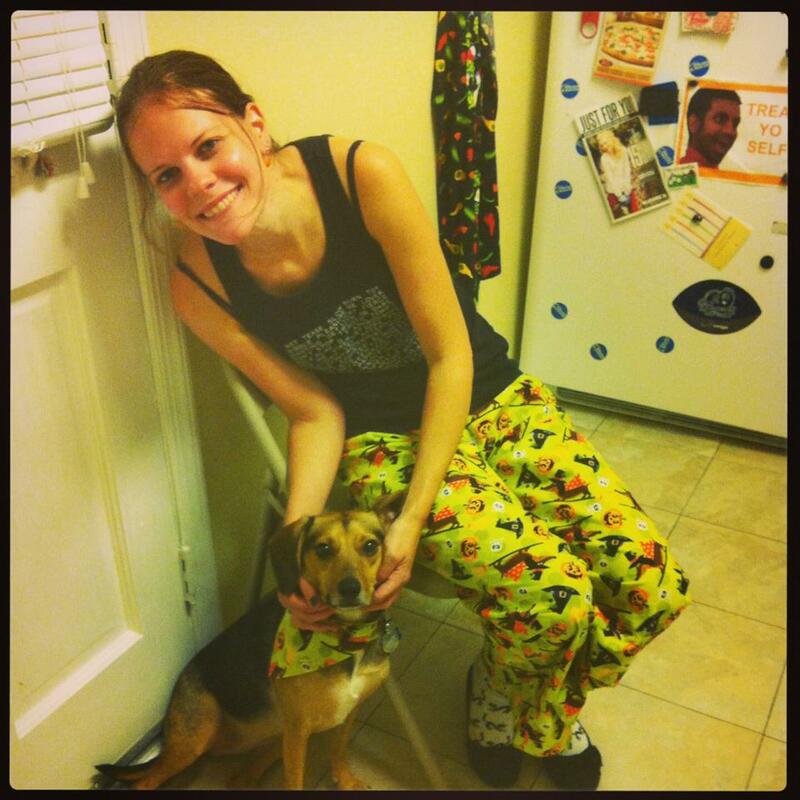 from last Halloween…I made matching Halloween PJs and doggie bandana for me and Lilly! Hope everyone had a safe and Happy Halloween! Previous My first Blog entry!